Sugar is a building block of our world. It has fueled tech advances, inspired pop songs, bolstered economies and even served as justification for slavery. Sugar is a building block of our world. It has fueled tech advances, inspired pop songs, bolstered economies and even served as justification for slavery. Most of us taste it every day, whether in our morning coffee or a late-night bowl of ice cream. 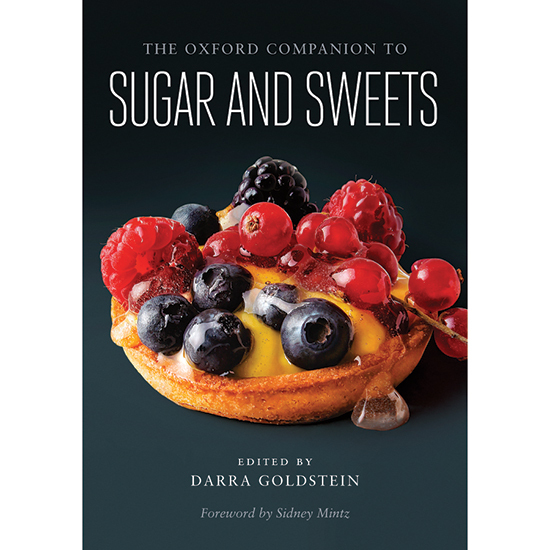 Now, our cultural obsession with all things sweet is chronicled in The Oxford Companion to Sugar and Sweets, an 888-page tome with nearly 600 entries written by 265 contributors, out this May. Here, 11 facts from this amazing new book. 1. Missing out: Cats, unlike other mammals, do not discern sweetness. 2. Good enough to eat: Sugar has been used on Hollywood film sets as a stand-in for glass when windows or beer mugs must be shattered, as a means of preserving waterlogged ancient timbers on medieval bridges in the UK and as a (slightly sticky) stiffener for petticoats in the 1950s. 3. Just a spoonful: Sugar has been helping medicine go down since 1854, when literal sugarcoating was invented. 4. Prehistoric bubblegum: Lumps of black birch bark tar have been found with clear impressions of human teeth, suggesting that chewing gum, in its earliest form, dates to 7000 BCE. 5. Sweet tunes: Songs like “Pour Some Sugar on Me” (Def Leppard), “Sugar Sugar” (The Archies) and “Candy Girl” (New Edition) use sugary lyrics as romantic terms (and of course, sexual innuendo). 7. Eating with our eyes: Research shows that color is an important sensory cue, suggesting to the brain how something will taste. Perhaps because fruits in nature generally change color as they ripen from a sour green to a sweeter red, studies show that red is a particularly good clue for sweetness. 8. Not for kids: PEZ containers were originally designed to look like cigarette lighters, and they were first marketed to adults. Though designs began to feature child-friendly characters in the 1950s, the lighter-like resemblance remained. 9. America’s Second Lady: In 1945, Fortune magazine named Betty Crocker the “second best-known woman in America,” behind first lady Eleanor Roosevelt, even though Crocker, a fictional character created by the advertising department at the Washburn Crosby Company, never existed. 10. Patriotic pie: The phrase “As American as apple pie” dates to the 1920s, and fighting for “Mom and apple pie” was a slogan used in WWII.